Thanks to the PTO for fabulous Staff Appreciation week. Everyone felt appreciated and special. Oaks Testing is wrapping up, piloting SBAC math in third grade. Staffing email came out, no need to lose a staff member. Parents will receive an email notification will be in the June newsletter when grade level classroom announcements are made. Last funded PTO assembly, OMSI Science Circus assembly will be on May 22nd. 23rd, staff Assessment Day – Walker Chiropractic is giving massages and The Outback Steak will be providing lunch! 626 total for the week for bike and walk to school week. There is still a need for crossing guards in the crosswalk on Bethany Blvd. The District is working with Washington County. Washington Co must present it to Salem and Salem gives the approval for a school crosswalk. Budget meeting happened today at 2:45 after school. Updated numbers for 2014-2015 will be posted soon. Voting on purchase of sound system, needs to happen before June 30th. Money is coming from 3 sources, 2 years excess from musical and extra budget from music specialist. Vote is appoved. The Bond is for facilities (repairs, new buildings, etc). No bond for 8 years. Typically every 4 years, but the district waited because of failing economy. We’re a growing district, adding students. Over 200 portables in the district. Add new elem, middle and high school. Repairs and common upkeep, need to take care of facilities. 10% for technology. Not buying iPads for students, need to replace old phone system. Need to update the infrastructure. Need to upgrade the bandwidth. Need to replace some computers. Haven’t invested much in technology in the last years. Speak to the list of improvements for OH – Playground??? Assessment was done, and if it doesn’t meet safety requirements then it needs to be replaced. Special thanks to Mara and Michelle for all of the work they did, and thanks to all of the parents who contributed, both financially and with food, etc. Lots of displays to put up, manning tables, etc. Memory Book is almost done, photos will happen Wed and Thur. Mrs. Pavlotos will be taking individual photos and large group pics. 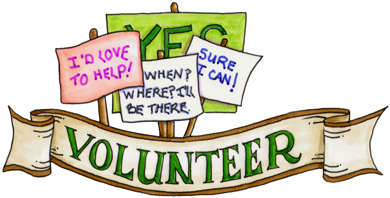 Lots of volunteers needed for day of event. Just need a few more forms turned in.